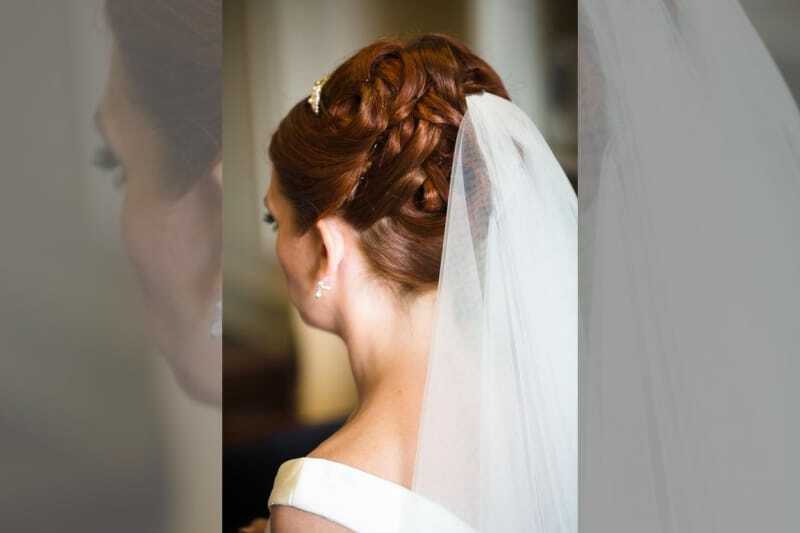 This is your first step to amazing wedding hair. 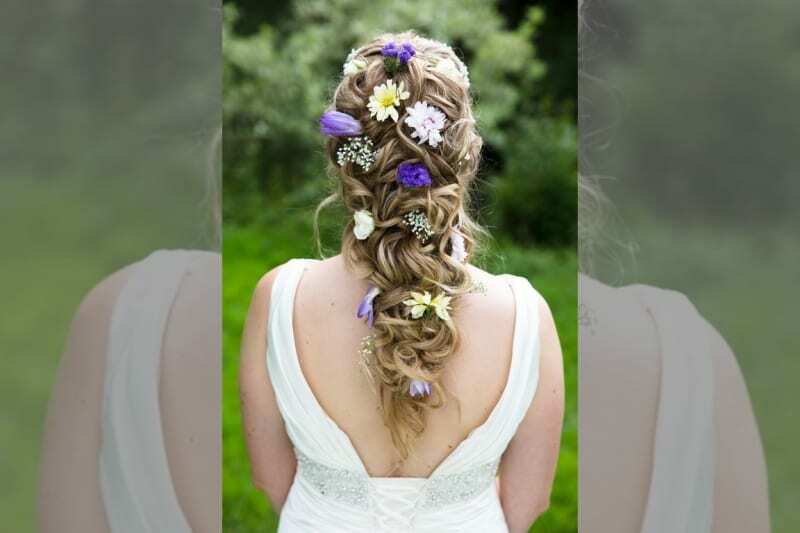 If you have a great hairdresser and they do wedding hair, then stick with them! If they don’t, ask them for some great recommendations. 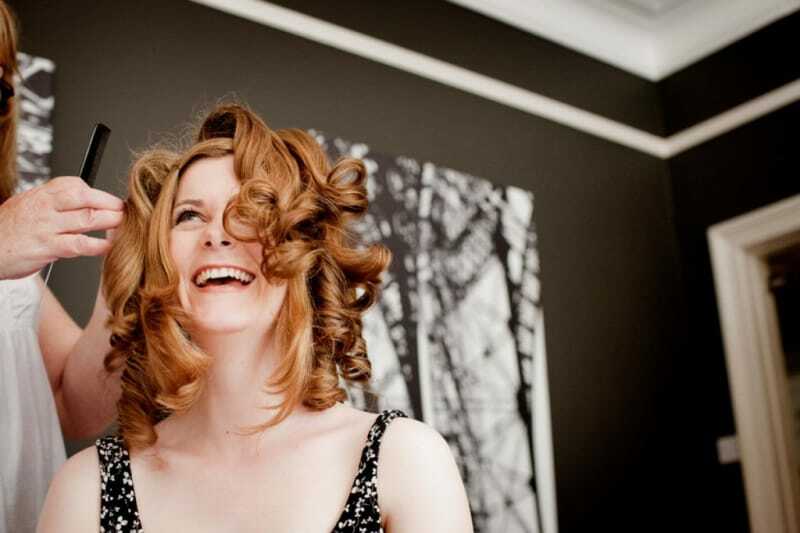 Visit suggested stylists and get a blow-dry – that way you can decide if you like them and their style. Another option: ask for recommendations from friends who have beautifully styled hair. Your venue might also have some suggestions. Once you’ve found a stylist you like, ask their advice on hair treatments and consider a new hair routine. Your hair will look even better if it’s strong and healthy, so start this as soon as possible! Steer clear of split ends and dead hair by investing in regular trims (even if you are growing out your hair). You want some va va voom in there so we recommend a trim every six weeks. If you want to dye your hair for your wedding day we would advise you not to experiment with colours close to the wedding. Ask a professional for help and advice. We would also suggest that if you’ve never dyed your hair before, do so at least three months before the wedding, so that you can get used to it. You don’t want to give your partner a shock as you walk down the aisle. Surround yourself in inspiration but before you set your heart on a hairstyle, tell your stylist as much information as you can about the neckline, colour and style of your wedding dress. Be open to your hairdressers’ suggestions, as they might have some pretty awesome ideas. We would avoid purchasing any hair accessories until you decide on your hairstyle, as it can be a waste of money. 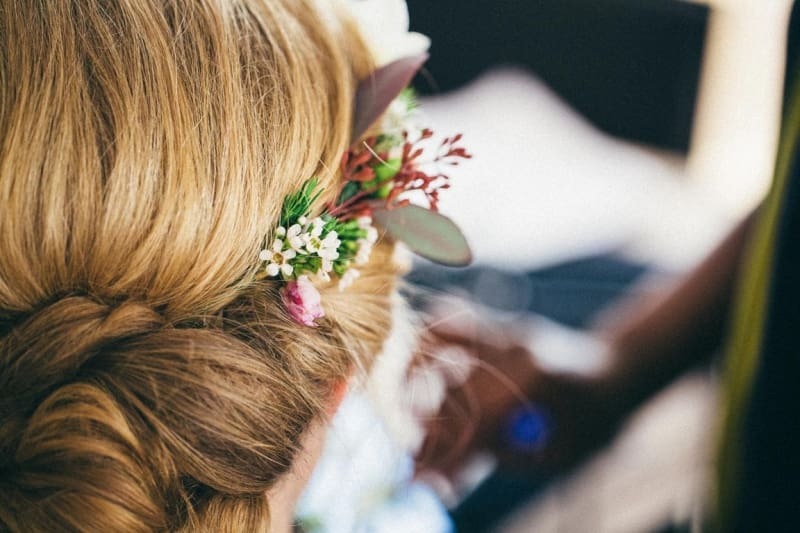 A little reminder: if you want to incorporate flowers, make sure your florist knows exactly what you need for your hairstyle and brings it all on the day. It’s all about delegating people! 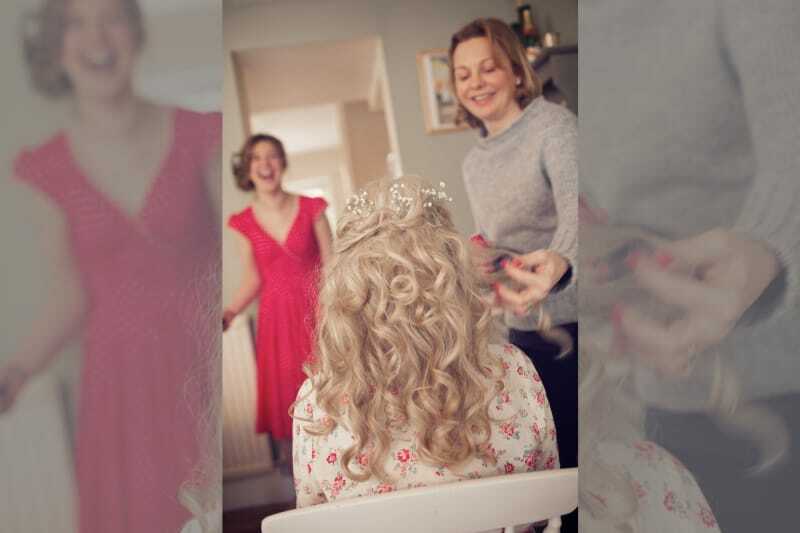 Want your harem of bridesmaids to have their hair done? Make sure you keep your stylist in the loop. Confirm numbers (note: with the various hair lengths) before the big day, so that your stylist allocates enough time for everyone. Finally, make sure you ask about prices – whether the trials are included and how much it would cost to style the rest of your wedding party. Now it’s time to get inspired and get booking!